Energizer Advanced Alkaline provides improved everyday performance in low-to-mid drain devices. Coppertop D Alkaline Batteries 4 count is rated 4.8 out of 5 by 170. Rated 5 out of 5 by TWEETYBIRD from Very reliable product. Very reliable product. Rated 5 out of 5 by goldrunner from put them in my new emergency lamp and pow light all around. thanks. put them in my new emergency lamp and pow light all around. thanks. Rated 2 out of 5 by HomeDepotCustomer from How did HD know about my purchase. I feel HD... How did HD know about my purchase. I feel HD in love with me. 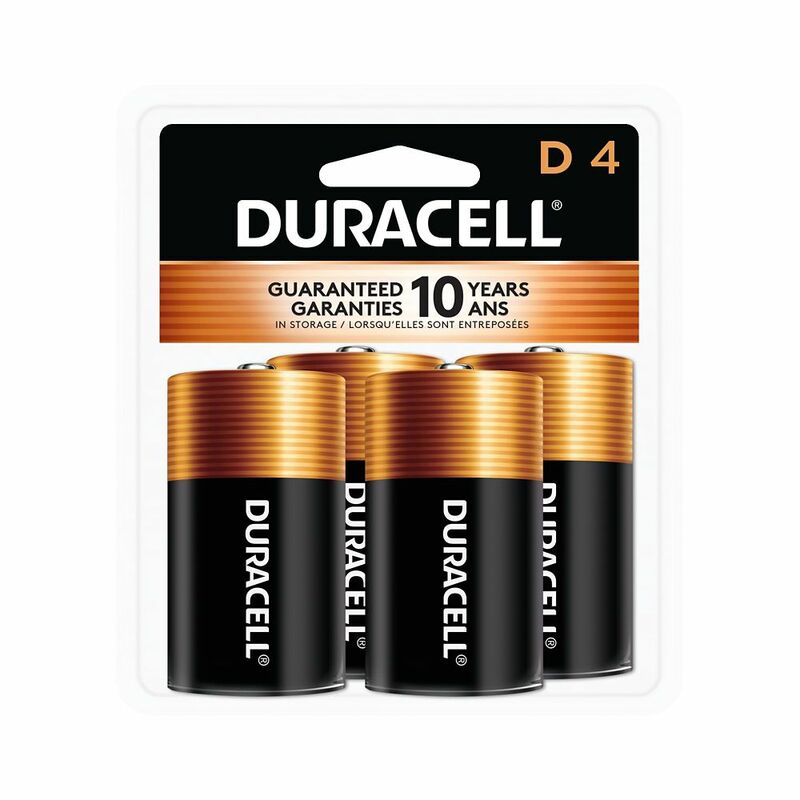 Rated 5 out of 5 by Susan from Duracell is my brand go to for batteries. They always... Duracell is my brand go to for batteries. They always give good value for the price (usually the most expensive). They also last the longest when compared to other brands I have used. Rated 5 out of 5 by oldtimer86 from Good batteries. Good batteries.